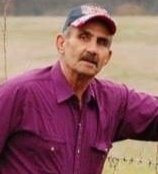 Dave Eidson, 77, of Eldon, Missouri passed away Saturday, April 6, 2019 at his residence in Eldon, Missouri. He was born April 17, 1941 in Windsor, Missouri the son of the late Dorsey and Bernice (Imler) Eidson. On June 26, 2017 in Eldon, Missouri he was united in marriage to Tammy (Whittle) Duncan Eidson who survives of the home. Sons, Kerry Eidson (Robin) of High Point, MO; Kelly Eidson (Ellen) of Murfreesboro, TN; Corbett Eidson (Amber) of Eldon, MO. Sister, Ruth Ann Eidson of Eldon, MO and a multitude of family and friends. A granddaughter, Elizabeth “Lizzie” Eidson, and two brothers, Henry Wayne and Richard Eidson preceded him in death. Dave served in the United States Marine Corp. He was an active businessman for over forty years and was owner/operator of Dave’s Repair in Eldon, MO. Dave enjoyed ranching and working with his cattle. But mostly he enjoyed spending time with his family. Visitation Service will be held on Sunday, April 14, 2019 from 5:00 PM – 8:00 PM at Phillips Funeral Home of Eldon, MO. Full Military Honors will be presented at 5:00 PM provided by the Eldon VFW Post #2442. In Lieu of Flowers, Memorials in his name are suggested to the Elizabeth Eidson Memorial Scholarship Fund at Central Bank.